The better the soil, the bigger the roses. Peat moss, the decayed residue of Canadian sphagnum moss, is a superb soil aerator and water retainer. Used in sandy soils, it adds bulk and retains moisture for rose plants. Added to clay soils, it provides air in the dense soil, allowing rose roots to absorb needed oxygen. Peat is a natural, organic soil conditioner for roses, free of insects, salts, weeds, seeds and chemicals. Roses love rich, loamy soil that supplies air and moisture without leaving their roots soaking in water to cause rot. Soils need to be laced with organic matter to break up and loosen heavy clay or bind sandy soils to retain water. Peat moss, lightweight and highly absorbent, is ideal for this. 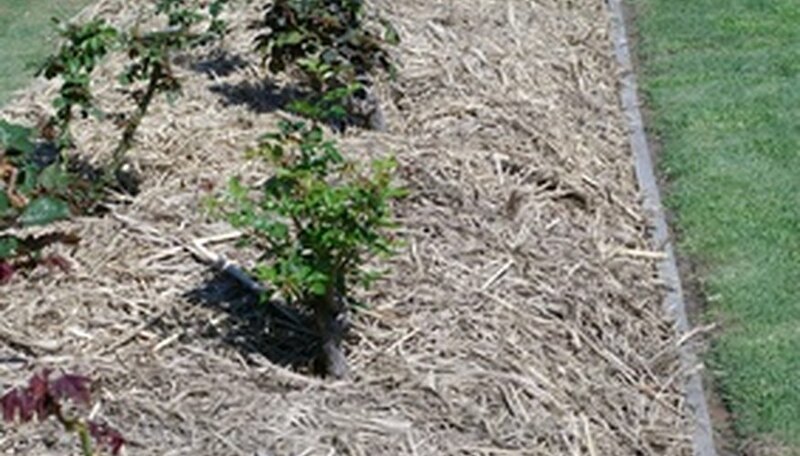 A 2-inch layer mixed into a rose bed will improve drainage, allow air to reach the roots and keep water-loving roses well hydrated. Peat is also the principle ingredient in potting mixes and professional growing media, ideal for growing mini or other roses in containers. Peat bogs have been a source of heat for humans for centuries, but the ability of peat to condition garden soil wasn’t fully appreciated until the 1940s. The main supply comes from sphagnum moss bogs in Canada’s Eastern provinces of New Brunswick and Quebec. The peat is partially decomposed moss stripped from the surface of deep layers in bogs. It is dried and compressed into bricks to be shipped to gardeners world wide. Sphagnum moss’s large cell structure is the reason it can absorb air and water like a sponge. Peat soaks up and retains some 20 times its weight in moisture, then slowly releases it as roses require it. While peat moss has no nutrients, it will absorb minerals and trace elements from compost or manures mixed into a rose bed. This keeps these vital nutrients from being leeched out of the soil by rain or watering. Peat also retains the nutrients longer, maintaining a steady supply for heavy-feeding rose bushes. It increases the life of compost in soil four to five times. Gardeners who buy a brick of peat moss get twice as much when they open the package and add water. When they till 2 inches of peat moss into the top 6 or 8 inches of rose bed soil along with complementary organic matter like compost or well rotted manure, they create a perfect environment for roses. A 3.8 cubic foot peat bale will cover 40 to 45 square feet of garden. For existing beds, digging 1 inch of peat moss into the top 6 inches around the bushes will condition the soil for new transplants and established roses. Peat moss lasts five years while compost needs replacing every year. The increasing use of peat moss by gardeners has led to concerns over the sustainability of harvesting from natural bogs. The Canadian Sphagnum Peat Moss Association says of Canada’s 270 million acres of peatlands, one in 6,000 acres (.016 percent) is harvested for peat. It is the policy of the CSPM to return harvested bogs to wetlands to preserve the ecological balance of the area. Natural Life Magazine: Does Peat Moss Have a Place In the Ecological Garden?